Hey people! How is your week going? My fave season of the year is Fall and I so look forward to it each year. Well this year it started to feel like Fall at the very end of August and then all of a sudden on Oct 1st it has been feeling more like Winter is here. We actually had snow about 20 miles from us yesterday. What happened to my Fall??? Today for you I have a very simple card that I made using the stamp set Feathers and Frost. 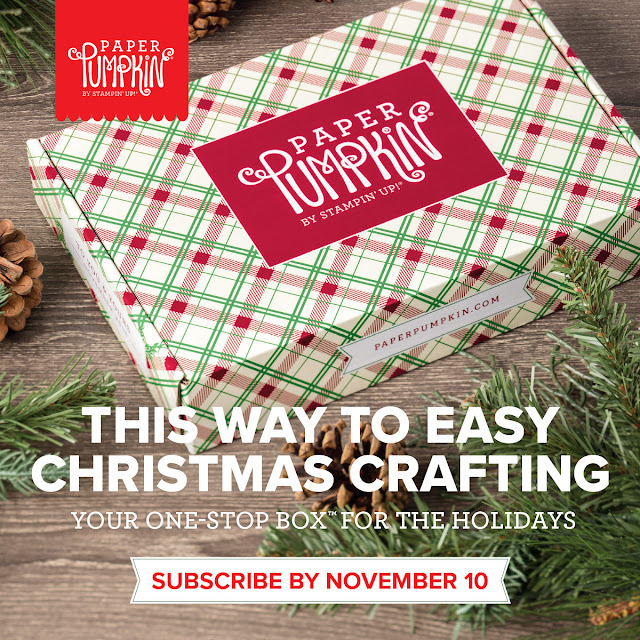 What really enticed me to get his stamp was the samples in the Holiday Catalog. I loved how the branch formed a square verses a round wreath. I am loving this new Subtle Dynamic TIEF! I know that in the Annual Catalog it is really hard to see what it looks like so I know a lot of people were a little unsure about purchasing it. But let me put those fears to rest. 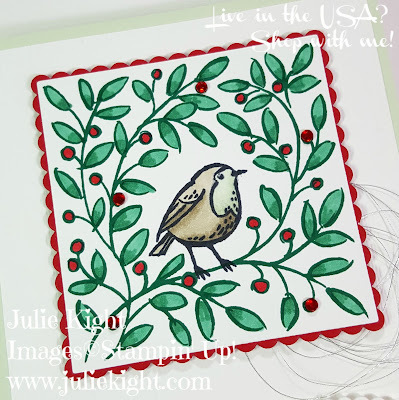 This embossing folder gives the most beautiful look of linen. I can see me using this one a lot!!! 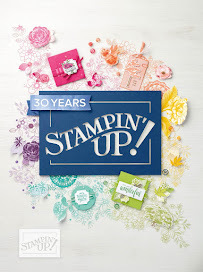 I don't know if you know, but you can use any of the Stampin' Up! 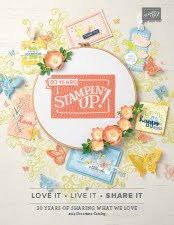 color stamp pads with the Stampin' Blends and the ink won't bleed into them. I didn't want to use the Memento Tuxedo Black ink because I was trying to keep the card soft in color so I used Shaded Spruce. I used the Stampin' Blends to color in the leaves and berries along with the little bird. I placed some the Red Rhinestones on top of some of the berries for a little sparkle. 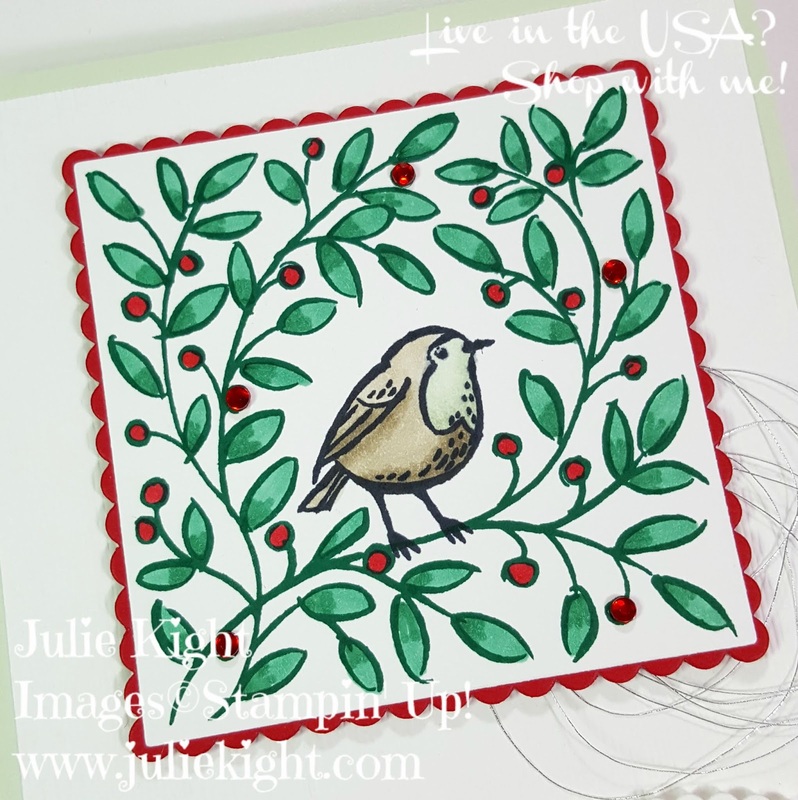 I decided to heat emboss the sentiment as to keep the the main focus on the wreath and bird. 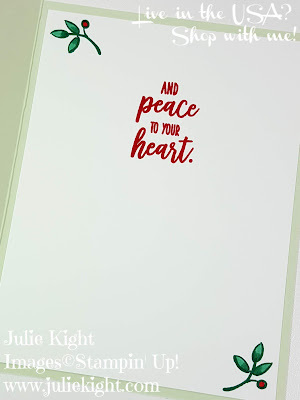 I stamped the inside too with a little greeting and some more of the little leaves and berries. 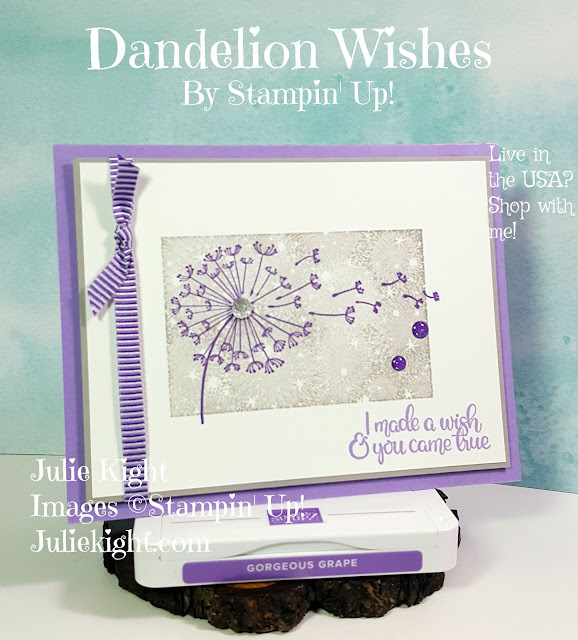 I colored these in too with the same Stampin' Blends. 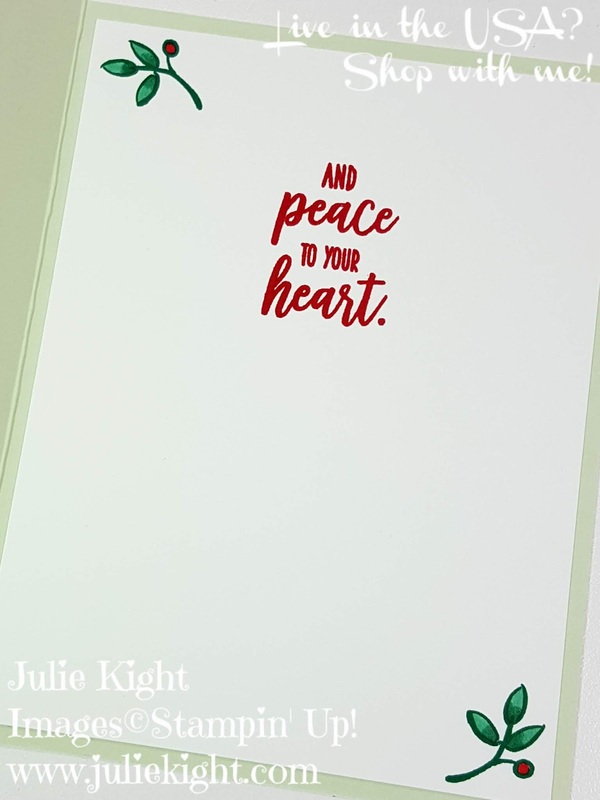 I always like to put a piece of Whisper White cardstock on the inside for a pleasing look plus allows for writing a note to the recipient. Thanks for looking!